William Hodges was arrested after walking into a woman's residence while she was home alone. William Hodges, 27, was arrested and charged with Residential Burglary after he entered a woman's home while she was at home alone. On 04/04/2017 at approximately 2:15 p.m., Albuquerque Police Department Northeast Area Command officers were dispatched to the 2700 block of Graceland Dr NE in reference to a residential burglary. Officers arrived and located the female outside her home. She told officers she was inside her home when suddenly she located an unknown male inside her home. She said she called police and ran outside. She expressed concern due to her dog still inside the home with the unknown male. When officers arrived, the male shut the door and refused to come outside. The caller told police she did not know the male and did not allow him inside her home. The male was later identified as William Hodges. Hodges was given several opportunities to exit on his own however ignored these opportunities and refused to exit the residence. Due to Hodges actions the call was deemed a SWAT Call out. SWAT and CNT officers arrived on scene and continued to give Hodges several opportunities to exit the residence on his own, to which he again ignored. The SWAT Unit used a robot to enter the home in an attempt to gain a form of communication with the suspect. But again he ignored this opportunity to speak to officers. Hodges eventually went to the back of the residence where he was contained to the back side of the residence. Officers used a chemical vapor to persuade Hodges to exit peacefully which was successful. 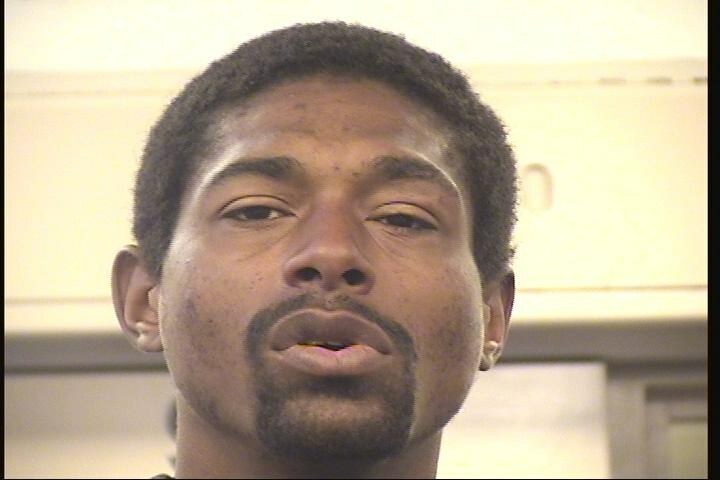 Hodges was taken into custody without incident and is being charged with Residential Burglary. Hodges gave officers a false name however his identity was confirmed by his tattoos identified from previous arrests. Hodges was arrested on March 3rd for Shoplifting, Eluding Police, Concealing Identification and Battery. He has an arrest history dating back to 2008. The Albuquerque Police Department Field officers, SWAT and CNT Units did an outstanding job getting Hodges out of the residence and into custody without incident. Officers were also able to get the callers dog out of the residence and return him safely to the caller. The ability for these units to use these valuable tools as they do for every dangerous situation not only keeps the community safe, it also keeps the officers safe. Thank you to all the residents in the area for their patience and understanding while this situation was resolved.